A Family Medicine Specialist takes a whole-person approach to comprehensive health care, preventing and treating numerous conditions. 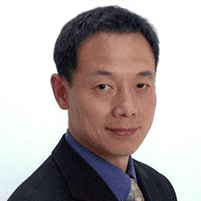 Hao Zhang, MD, Ph.D., of Edison Wellness Medical Group in Edison, New Jersey, is a board-certified physician who provides family medicine care for adults of all ages, so you can be as healthy as possible your whole life. For your convenience, call or schedule an appointment online. The goal of family medicine is to help you stay healthy at any age. Family Medicine physicians like Dr. Zhang specialize in preventive care, treating numerous diseases and conditions, and managing chronic health problems such as high blood pressure and diabetes. The advantage of a family medicine practice is that in many cases, you don’t have to visit a specialist for different health conditions, or even for sports injuries or minor trauma. What conditions does a family medicine physician treat? What is the benefit of choosing a family medicine doctor? Family medicine physicians like Dr. Zhang offer patient-centered health care and build a long-term relationship with you. They follow your healthcare progress over the course of your life and get to know you personally. They learn about your family history and your health conditions as well, since you visit them for nearly every situation — except a major emergency. When you visit Dr. Zhang year after year, he gets to know your medical history extremely well. This allows him to advise you to take precautions or make lifestyle changes — as-needed — to prevent conditions that you’re concerned about. Visiting regularly also makes it easier for Dr. Zhang to monitor any developing conditions before they turn into more serious situations. Another benefit of a family medicine physician is that if you ever need a specialist, Dr. Zhang can help you find the right fit. Because you develop a doctor-patient relationship with Dr. Zhang, he knows your medical condition as well as your personality and lifestyle and can recommend a specialist who fits well with your preferences and provides the testing or treatment you need. If you’re in Edison or the surrounding communities and looking for a highly-trained physician with a caring, compassionate demeanor, call or schedule a consultation with Dr. Zhang using the online system.